"I really like the ability to add audio content to have authors explain their work in slides (AudioSlides)." 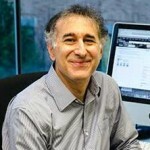 Michael Emerman, PhD, a virologist who researches HIV replication at the Fred Hutchinson Cancer Research Center, has been Editor-in-Chief of Virology since January 2013. Emerman is a long-serving member of the journal’s Board of Directors, and is its fourth Editor-in-Chief. 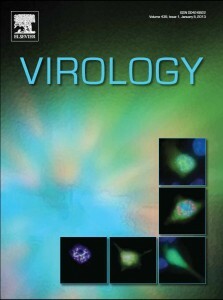 Established in 1954, Virology is one of the oldest journals in its field. It has an Impact Factor of 3.367 and publishes 24 issues per year, with an average turnaround time of four weeks to first decision. Emerman has instigated some big changes to the journal this year, dramatically increasing submissions. Listen to an audio interview with Michael Emerman. A. It's a great honor to be Editor-in-Chief of a journal such asVirology that has been around for nearly 60 years. It is also a big responsibility to make sure that it continues. I find it very rewarding working with the other editors since they bring such a high level of expertise and experience, and I also like picking out interesting papers for us to highlight. In general, the rewarding part is being able to publish interesting papers in my field. Q. What are your biggest challenges as Editor-in-Chief of Virology? How do you overcome these challenges and what extra support can Elsevier provide? A. Virology has been in a decline for several years. The number of submissions was down, the number of papers published was down, and the reputation was suffering. I took over as Editor-in-Chief with a goal of restoring the journal and elevating it to the top journal in its field. Elsevier has been very supportive in our efforts to entice submissions by removing charges for color figures, going to an open archive, doing marketing campaigns, redesigning the journal cover, and redesigning the journal webpage. They have also helped us get new initiatives started and bring new editors on board with the expertise we need to go into new areas. Submissions are now increasing (over 50% increase since the start of the year), and we are looking forward to increases in the quality of papers and journal reputation. A. We have started an initiative we call ‘Streamline Review’ where we take a submission that has been rejected by a journal with a high Impact Factor along with the original reviews and the author’s rebuttal (and of course, the revised text). We send the entire package to a member of the editorial board who can judge the article based on the existing reviews (they also usually add something of their own). That way, we can re-purpose reviews and save reviewers’ time. I would like to see more journals sharing reviews like this. Despite complaints, I think the peer-review system serves a wonderful purpose. I have seen many papers over the years become vastly improved by reviews. The role of the editor is to weed out the poor reviews and to use the peer-review system to turn out better papers. A. In my field, even though researchers access journal content at the article level, they still pay attention to the journal in which it originated. Part of that is trust in the editors: at good journals one trusts that the editors know who to send the paper to for peer review and that the reviews said the paper was good enough to publish. The reputation of papers lies in the quality of the peer review, and thus the quality of the editors. I see a backlash against the ‘publish everything’ journals since predictions that post-review quality control would take place have not yet materialised. A. Some authors will publish only in open access journals. We have seen some bias against Elsevier with authors who will not send their papers and reviewers who decline to review for non-open access journals. Now that our journal has an open access option that is reasonably priced that may change, but it’s too soon to tell. In the end, however, journal quality is often what is most important for authors. A. I very much dislike Impact Factor as a judge of article and researcher quality. Hopefully, the Declaration on Research Assessment (DORA) will gain hold and help to put an end to this way of judging article quality. Our goal for Virology is to publish good papers, publicize those papers, and let the Impact Factor naturally rise as a consequence of having good papers that others want to cite. A. I really like the ability to add audio content to have authors explain their work in slides (AudioSlides). I think this works very well to get the main point of a paper quickly. I think that Elsevier needs to think about fonts that work better for reading on screens since, in the future, we may not ever print out articles. The navigation tools in the Article of the Future also work well for reading online. A. We have a broad subject Twitter feed for articles in Virology but we’re looking into new channels that will be more specific to our journal. We will be starting a blog to highlight two articles per issue with additional photos and graphics. I think we will be doing an increasing amount of social media in the future since this is now a common way that people identify interesting work. Personally, I have a LinkedIn account and an account on ResearchGate. I don’t use them much as a researcher, but I am considering how these tools could be used to solicit articles for the journal. A. Our goal is to be the top virology journal within 3-5 years based on improving author experience (including faster reviews, easier means of submission, free color, more options for article types, open access) and making sure that our best papers get noticed. In the future, I think most people will read articles online rather than in print or printed out, so it will be important that articles can be easily read on electronic devices where they can be marked up, saved, and shared with others. A. At our last editors’ meeting we discussed how our best editors get reviews quickly. The key seems to be that personalizing the email requests makes them more effective. We have automated reminders that go out before the review is due and then a few days after the review is due. Then, for late reviews, we ask the editors to send a personal email to ask for the review by ‘next Monday'. Having editors who know the field and know who to ask is very important for this to work.